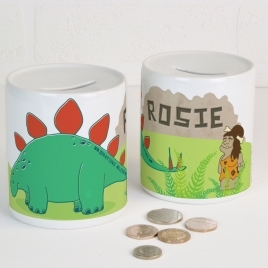 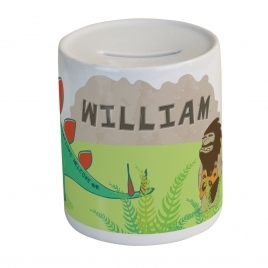 This personalised dinosaur money box makes a wonderful gift and keepsake. 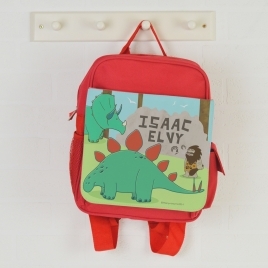 Stand out at school with this ultra cool dinotastic personalised backpack! 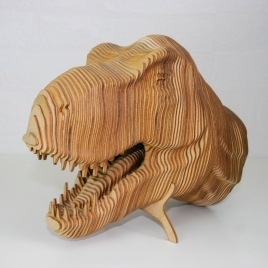 A stunning T Rex model. 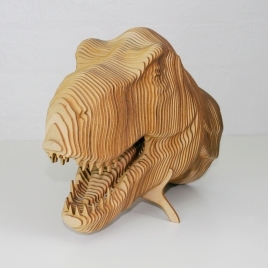 Easy to make and roarsome looking on display; this "head" turning model is a blast to make. 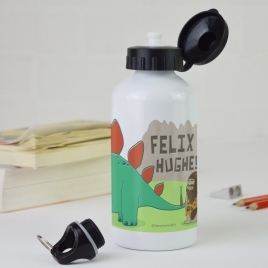 Personalised Water Bottle for all dinosaur fans! 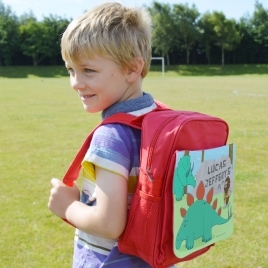 Perfect for school, sports, journeys, activities and holidays. 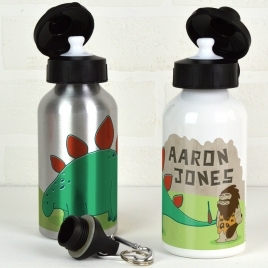 Also fits a bottle holder on a bike. 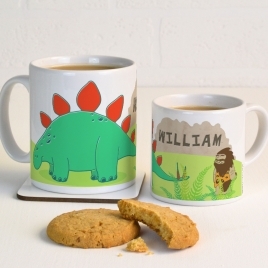 A delightful and unique hand printed personalised mug featuring our cool dinosaur design. 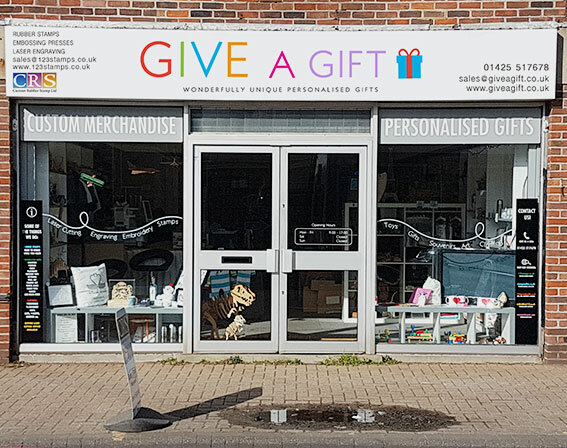 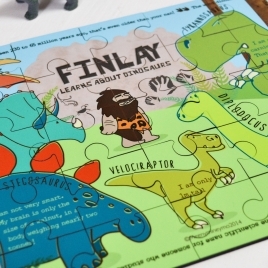 A fantastic, ever popular, yet unique gift for children. 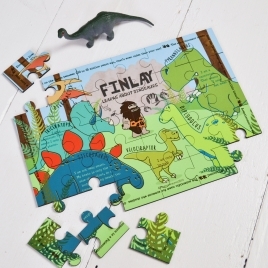 This dinosaur wooden jigsaw puzzle is educational, fun to make AND personalised!